After more than three years without a commercial name — and the associated revenue — Channel 4 has learned that the Jaguars are finalizing an agreement making EverBank the naming sponsor of Jacksonville Municipal Stadium. Alltell’s contract expired at the end of the 2006 season and the Jaguars and the city of Jacksonville have been looking for a new naming sponsor ever since. WJXT learned Monday afternoon that Jacksonville-based EverBank has agreed in principal to a multi-million dollar deal and an announcement will be scheduled soon. Channel 4 is still working to learn the terms of the potential agreement — which is a revenue source for both the team and the city. 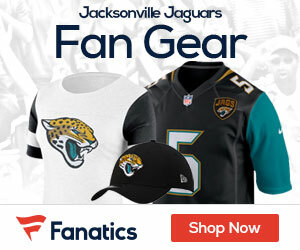 The city’s lease with the team calls for the Jaguars to keep 75 percent of any revenue from the sale of naming rights to the stadium, with the city receiving 25 percent.